Steve and Deb Terrill instruct high school students on the Red Flag Mental Health Program. Indian Lake School leaders continued their commitment to mental health education for students with the Red Flag Program. Over a three-day period, juniors and seniors in the ILHS College and Career Readiness class covered the social/emotional curriculum recommended by the Ohio Attorney General’s Office. 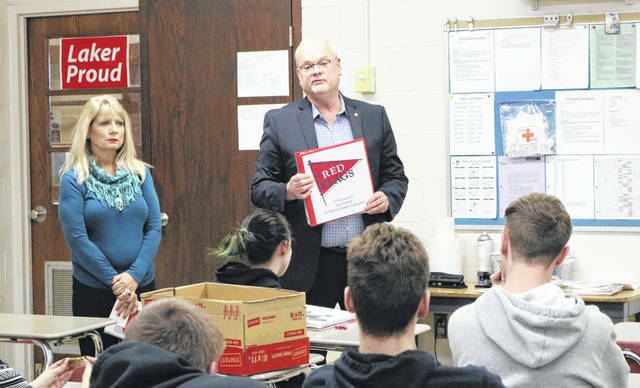 Local and national mental health trainers are using the Red Flag Program to help students understand that mental illness is just like a physical illness, despite the societal stigmas attached.